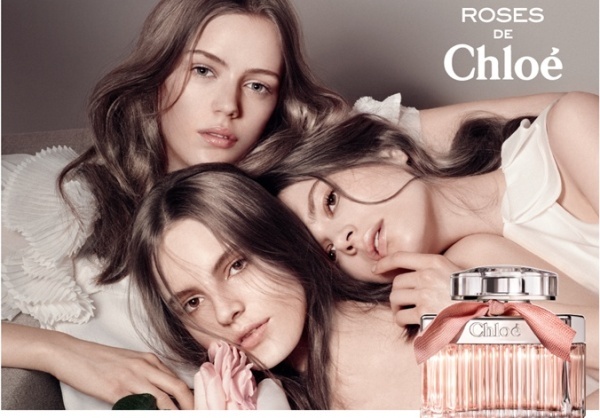 By all rights, Roses de Chloé is what the first Chloé release should smell like. The original Karl Lagerfeld Chloé from the mid-70s was a voluptuous white floral, but Chloé relaunched it as a clean rose in 2008. The problem is, it’s too clean, with so much white musk overwhelming the formula that it smells far more like a laundry room than a rose garden. Last year’s L’Eau de Chloé, a greener version with more patchouli, was an obvious improvement – and so is this one, with its clearer, more realistic floral accord of tea rose with gestures toward springtime-y linden and lily of the valley. There’s nothing particularly unusual about it (this is a rose soliflore folks, not a moon walk), but it smells fresh, young, and pretty without smelling faux-fruity (though I do pick up a crisp apple note) or cheap. In fact, it reminds me at times of pricier niche scents like Annick Goutal Rose Splendide, Parfum de Rosine’s Rose d’Été and Yosh Sottile. If you’re looking for a simple rose scent at Macy’s or Sephora, you could do far worse and these days, couldn’t do much better. It is rare that a movie sequel outshines the original. More frequently, the plot feels strained, the characters tired and the ideas bland. In the case of flankers, the perfume version of cinematic sequels, the same holds true. 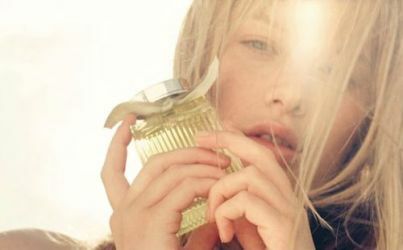 The original Chloé—the 2008 original, I mean, not the 1975 bombshell–was a lychee spiked rose that smelled simultaneously sharp and cloying. Given this inauspicious association, I did not think that its flanker L’Eau de Chloé would be different. And how wrong I turned out to be! L’Eau de Chloé is a spicy green chypre, with a bold rose note. It has enough retro glamour to wear like a full length ball gown and enough modern simplicity to feel as comfortable as a silk slip.